On the morning of April 5, 1968 — the day after Martin Luther King Jr. was assassinated — a third-grade teacher in a tiny Iowa town decided to try to show her class what prejudice feels like. 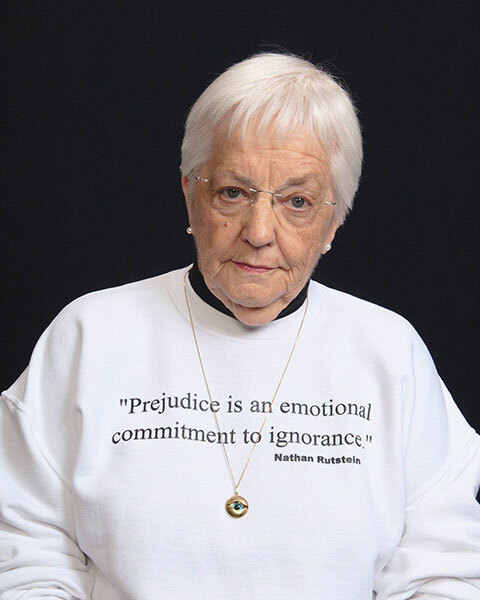 Jane Elliott’s students in Riceville, all of whom were white, had recently been discussing King’s civil rights crusade. The premise of her lesson, which came to be known as the “Brown Eyes/Blue Eyes Exercise,” involved labelling students as inferior or superior based solely on eye color, a characteristic they could not change. Each child had the opportunity to experience both perspectives, in the hope they would gain insight into the experience of being a minority. Fifty years after Elliott’s bold initiative thrust her onto the national stage, the 85-year-old educator, lecturer, activist and diversity trainer still travels the country trying to open people’s eyes about recognizing and overcoming racism, bigotry and discrimination. On Feb. 11, she’ll bring her campaign to Florida Gulf Coast University, talking about her career as an educator and lecturer on diversity as well as engaging the audience in dialogue about fighting racism, sexism, ageism, homophobia and ethnocentrism. Her appearance at 6 p.m. in the Cohen Center ballroom is sponsored by FGCU’s Office of Multicultural and Leadership Development and is free and open to the public with limited seating. In a phone interview with FGCU360, Elliott said she would be speaking about the origin and impact of the exercise she adapted and how its lessons can be applied in life to combat racism. “Brown Eyes/Blue Eyes” has been taught, studied and critiqued for five decades since it threw a nationwide spotlight on a hot-button issue that has never cooled. The first students to participate wrote essays describing what they learned from the experiment, which the school’s hometown newspaper subsequently published. Interest snowballed as The Associated Press picked up the story and Elliott appeared on “The Tonight Show.” A 1970 ABC News documentary about the class called “The Eye of the Storm” won a Peabody Award, and there have been follow-up news reports and documentaries since. During the Elliott’s exercise, one day the brown-eyed students were superior and the next day the blues were their betters. Typically, she noted, the first group acted arrogant, demeaning and cold toward its so-called inferiors. When the tables turned, the second group tended not to try to get even, she said. When the exercise was over, she would ask them why. Retired from teaching since 1985, Elliott continues to share the lessons of “Brown Eyes/Blue Eyes” in lectures and workshops on diversity for schools, corporations and federal agencies. She won’t stop, she says, until racism stops.